According to the United Nations Conference on Trade and Development, citrus fruits are evergreen shrub trees native to tropical and subtropical climates. Most types of citrus cannot withstand cold weather and are only grown in warm climates in the United States like California, Florida and Texas. Arizona’s frost-free region between Phoenix, Tucson and Yuma also has a climate warm enough for growing many types of citrus fruit. Lemons are the least frost tolerant of all citrus fruits, according to Purdue University. Many varieties of lemons grow well in Arizona since there is little to no frost. 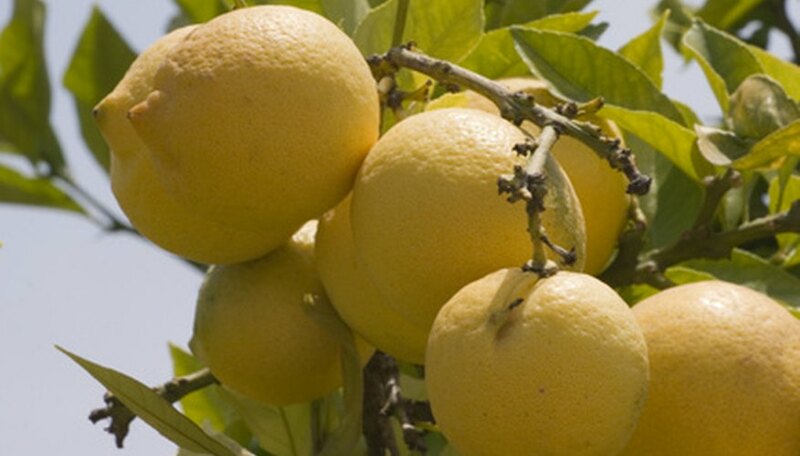 Types of lemons that grow well include the Lisbon and the Meyer. Limes also grow well in Arizona since they are so similar to the lemon. The weather in Arizona is hot in the summer and cold in the winter, which provides full-flavored citrus fruit that's both sweet and acidic. This makes Arizona the prefect climate for any kind or orange, from sweet to sour. In fact, Arizona has some sweet orange varieties of its own including the Diller, Hamlin and Marrs. Other common varieties of orange also grow well in Arizona, from the Navel to the Valencia. These large citrus fruits are less cold tolerant than oranges but more so than lemons and limes. All common varieties of grapefruit grow well in Arizona, including the Blush, Rio Red and Texas Star. Tangerines are more cold tolerant than oranges so they do well in the Arizona winters when it gets cold. Tangerines are similar to mandarin oranges, which also grow well in Arizona. Some good varieties to grow in Arizona are Daisey, Honey and Satsuma.